Think of our resources page as a potter's toolbox. 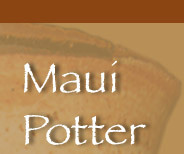 We include many of the tools and information necessary to become a better potter faster! Learn about pottery techniques for beginner to intermediate potters. A great overview for anyone who wants to get acquainted with or refresh their memory about popular pottery terms and techniques. Check out our glossary of pottery and ceramics terms. The Orton Cone chart lists standard temperatures for firing ceramics. If you like clay art and travelling, then you'll love our suggestions of where to see great pottery - all around the world.